A Sensory History of the Civil War, Mark M. Smith, Oxford University Press. Sound: Charleston, South Carolina, a quiet city on the coast, in which the ideals of rural plantation life—quietude, orderliness, strict racial and gender hierarchies—had been replicated in an urban space, becomes, with the election of Lincoln, increasingly unruly, chaotic, and <i>loud</i>, climaxing with the thunderous shelling of Fort Sumter. Sight: In the First Battle of Bull Run, inexperienced officers and soldiers expect combat to be a simple matter of seeing the enemy and shooting at them, only to find that the haze of smoke, the disorienting cacophony of battle, and the wildly inconsistent uniforms worn by both sides, often make it impossible to tell friend from foe. Smell: At a time when offensive smells were increasingly being eradicated from the cities, and many people thought foul odors caused illness, the accelerated mass death of the Battle of Gettysburg—during which soldiers died much too fast to be properly buried—created a “deadly, nauseating atmosphere” which lingered in the air for months. Taste: In the antebellum South, what you ate indicated your status in the social hierarchy, but during the Siege of Vicksburg, even whites of the highest social station were reduced to eating food they wouldn’t serve their slaves. Touch: The nineteenth century was marked by the developing notion of private space, but for the eight men packed into the tiny H. L. Hunley submarine, intimacy and personal contact were impossible to avoid. Turning his historical eye (and ear and nose…) to the sensory experience of war provides Smith the opportunity to write more evocatively than most historians, to bring to life the individualized experience of war—the howl of the cannons, the smell of burning horses, the taste of mule meat—in ways other histories cannot. 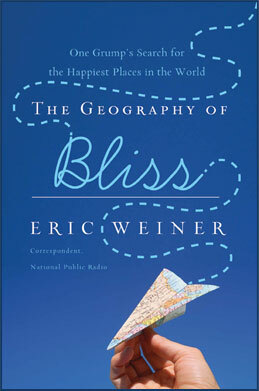 Unfortunately, in his effort to draw out broader themes, Smith sometimes lapses into attenuated generalizing, treating the sensory experiences of a large group of individuals as all more or less the same. But Smith succeeds at broadly evoking the unprecedented sensory assault that was the Civil War, and, even more, “The Smell of Battle” treads a new, exciting path of historical inquiry, suggesting the exciting possibilities of a history that starts from the senses. Titanic—One Newspaper, Seven Days, and the Truth That Shocked the World, Stephen W. Hines, Cumberland House. 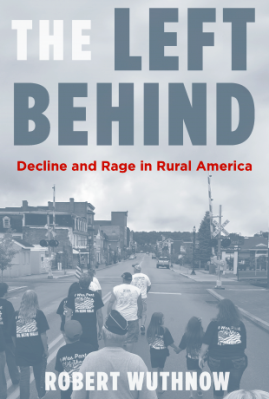 The Left Behind—Decline and Rage in Rural America, Robert Wuthnow, Princeton University Press.